Today, we’re going to do something a little different here on the podcast: I’m doing my very first Listener Q&A! I receive so many questions from you all, I want to start answering them on the podcast so everyone who listens can benefit from my answers. 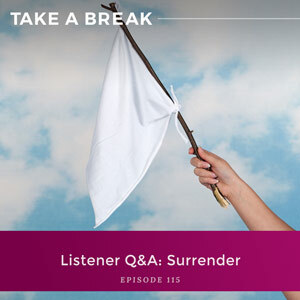 To start us off, I’m answering a question about surrender. Is surrendering the answer to walking away from alcohol? Tune in today to hear why the words you use matter and how being curious about why our brains do what they do can be the catalyst for big changes in your drinking and your life. For me, learning how to change the habit, stopping overdrinking, learning how to change my desire, was all a pathway into understanding how my brain works. And mastering the think-feel-act cycle wasn’t just an interesting thing to do… It was the process that I used to truly discover how powerful I am. Why what words really mean is important. Why negative thoughts do not create positive results. The implications of you being the only one who has domain over your mind and what you’re thinking. Why you should stop thinking of alcohol as the enemy, or drinking as a vice. What it means when you drink more than you’d like. Why, regardless of what worked for me, you should do what’s best for you. If you have any questions you’d like to hear me answer on the podcast, send me an email at podcast@rachelhart.com. 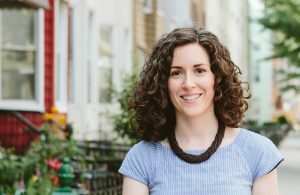 You are listening to the Take A Break podcast with Rachel Hart, episode 115. Hello, hello everybody. Now listen, I’m doing something a little different today. What I am going to do is a listener Q&A. I’m going to start answering your questions on the podcast. You know, I started the Take A Break podcast in 2017 and right from the get-go I started getting so many questions from all of you and I realize that the best way to answer these questions is to do it on the podcast so that you can all get the benefit of hearing what I have to say. If you have questions about anything that I talk about, anything about the habit, how to change your desire, questions that you have about how to be successful, whatever it is, all you have to do is send an email to podcast@rachelhart.com and I will make sure that you get an answer. I have some thoughts about surrender, and that’s what we’re going to be talking about today. Listen, one of the most important things of the work that I teach you is to really look at words and what they mean so that you can understand what they’re creating for you. Once you understand the think-feel-act cycle, once you understand that they way that you feel in life is created by the sentences in your mind, you will understand that the words you use to talk about yourself, the world around you, other people, alcohol, it is everything. Words matter so much. Your thoughts create your feelings and those thoughts are made up of words. Those words then create how you feel, and how you feel drives your actions. So even subtle changes can make a huge difference. Not only in how you feel but what you do. And what you do in life, how you show up, whether or not you keep taking action, whether or not you hide, that’s everything. That is what creates your results in life. I actually did an entire podcast episode all about this. Episode number 21 is all about the thought I can’t drink because it holds people back from change. It held me back from change for so long. Now, keep in mind that words and thoughts don’t all create the exact same feeling for everyone. Different people can have different reactions. But in my experience, in my personal experience, in my experience with so many clients, I will tell you that nine times out of 10, when you tell yourself that you can’t do something, it often creates a negative emotion. It may make you feel bitter or resentful or angry or jealous. Maybe you’ll feel powerless or embarrassed, ashamed, or wronged, whatever it is. When you tell yourself you can’t do something, you are most often heading right into a negative emotion. And you have to understand that because when you understand that how you feel determines how you show up in this world, then you have to start really unraveling okay, when I tell myself that I can’t drink and I feel a little resentful or a little jealous or a little embarrassed, whatever it is, what am I doing when I feel that way? How am I showing up? Are you kind of silently pissed off in the corner watching other people drink? Are you obsessing about how everything is so unfair for you and other people have it easier? Are you comparing yourself negatively to others? Are you hiding out? Maybe you’re hiding out from yourself, you’re hiding out from social situations. What are you doing and are those actions helping to get you where you want to go? Listen, negative thoughts do not create positive results. That’s all you really need to understand. I will tell you this; for a long time when I would tell myself, “You can’t drink, you can’t drink, Rachel,” I would have all this negative emotion that I would try to push away and push away and push away and eventually it would bubble over and it would bubble over into, “Who cares? Screw it. Doesn’t matter,” and I would decide to drink again. And I was in that cycle of telling myself that I couldn’t and feeling really resentful and letting that resentment build up and build and build and build until I would drink again. And I was in that cycle for a decade. I really was all throughout my 20s, it’s a terrible, terrible cycle to be in. Negative thoughts, negative emotions are never going to create positive results for you. And so if you want to change your drinking, you have to pay attention to the words that you use. That is the very foundation of how the think-feel-act cycle works. When you think a thought, if it creates a negative feeling, you’re going to have negative actions and negative results, period. But here’s the beauty of it. Once you understand how the cycle works, you can decide whether or not you want to keep thinking a thought or practice something new because here is the truth with a thought like, “I can’t drink,” it’s just not true. Of course you can. Everyone can. We all have free will. Even people that society has determined oh, you can’t drink, you’re not old enough, of course you can. Of course lots of people drink before they’re 21. Even when society says you can’t drink, you’re locked up behind bars, guess what? People figure out ways to drink. It’s just not true. And so one of the things that I love doing is helping my clients see not only how the thought I can’t drink is keeping them stuck and creative negative results, but what a difference just a subtle change can make when they shift can’t to choosing. I’m choosing not to. Just tell yourself what’s really true. You’re choosing not to. You’re choosing to eat this or I’m choosing not to eat this. I’m choosing to spend my money here. Don’t forget that you have agency. Words matter a lot. You got to pay attention. Pay close attention to the language that you use to talk about yourself, how you view the habit, how you view alcohol, how you view your relationship with the world and with other people. But here is the thing; it’s what you think. And if you’re having those thoughts, if those words, these sentences are in your head, they are playing out in the think-feel-act cycle whether or not you like them. You may just think, “Oh it’s just semantics, we’re just quibbling here about words choice.” But the words you use matter. Your word choice is everything. Semantics matter. Okay, so now that you know how much words matter, and they do, let’s go back to this question from one of our listeners. “I’ve heard so many people say that once they surrendered, it was so much easier to walk away from alcohol.” Alright guys, I just want you to sit with that word for a second. Sit with the word surrender. How does it feel in your body? Does it feel negative? Does it feel positive? Does it feel like nothing? Really think about that. How about when you say, “I surrendered in order to stop drinking,” or, “I surrendered in order to stop overdrinking.” How do those thoughts feel? So you feel empowered or disempowered? Listen, it’s going to be different for everyone but I love just starting by looking at the meaning. Let’s look at the meaning of surrender. When you surrender, you give up your power to someone or something else. So you stop resisting or you give up to your enemy or your opponent and you submit to their authority because they are more powerful than you. That’s what surrendering is all about. They are more powerful than you. I want you to really try this thought on for size. Nothing is more powerful than you. Nothing is more powerful than your brain. Once you understand how the think-feel-act cycle works, once you understand why it is you are getting the results you are getting right now in your life, because of your thoughts, you start to realize that actually, you have limitless power. Because you are the only person in the entire world that has domain over your mind and what you are thinking and what you choose to think and what you want to keep thinking. Because of that, that’s what makes you so powerful. No one can make you change your thoughts or force you to think something different. You are the only person that has that power. If you listen to the podcast, you’re going to know very quickly why I personally don’t like the word surrender. First, alcohol just sits there. It doesn’t entice you to pick it up. It’s not tempting you. It’s not whispering in your ear. It’s not trying to convince you to drink it. If you pick up alcohol and have a drink, it’s because of a thought you’re having. Plain and simple. Now, you might be having tempting or enticing or convincing thoughts that are trying to get you to decide that you should drink. “Oh, I deserve it, it looks good, it will be fun, everybody else is,” you may be having thoughts like that. But the alcohol is not in charge. You are. Trust me, that is not what is unfolding. And it’s why I encourage a lot of people to take a break. It’s why I encourage people to give their brain a little bit of a rest from drinking because as soon as you do that, you get an immediate window into your mind. As soon as you interrupt that habit, you can see the very thoughts that are driving it. If you’re always saying yes to the reward, you’re going to have a very hard time when it comes to identifying the thoughts that are not only driving the habit but identifying them so that you can change them. Because alcohol just sits there. You don’t have to surrender to its power because it’s not powerful. So that’s the first reason why I don’t love this idea, but the second one is that alcohol is not your enemy. It’s not an opponent. You don’t have to beat it. You’re not trying to win. You’re not at war with it, and if you feel like you are, then let me tell you, you are probably creating a boatload of negative emotions. Because we tend not to feel positively about our enemies or being at war. Alcohol is a natural byproduct of life on Earth. When it comes to life on this planet, it can grow, it can decompose, and it can ferment. Alcohol is just the result of yeast fermenting sugars, and it can happen without human intervention. It can happen in overripe fruit. It’s just that humans figured out how to harness the power of fermentation so that they could create alcohol in specific quantities. When you start to really think about that, you start to see, it’s really not an enemy. It’s really not something that you have to be at war with. It’s something that you have to understand. Listen, I don’t desire alcohol anymore at all, which still, when I say it, it kind of blows my mind still because I loved it so much. I literally thought it was the best thing ever. But I will tell you this; I am not walking around preparing for battle or suiting up for war when I’m going to be around alcohol because just imagine how exhausting that would be. I was talking with one of my clients recently who’s in my year-long program, In Pursuit, and we were talking about hosting dinner parties and what it’s like to host a dinner party when you, the host, are not drinking, but your dinner party guests are drinking. And we were talking about why that is challenging. And a lot of people want to stop kind of at a very surface level and just say, “It’s challenging because other people are drinking and I’m not drinking so of course I feel like I’m missing out.” But she was doing this work and all of a sudden, she could really start to see why exactly it was challenging for her brain, because she was watching the habit unfold when she challenged herself to host a dinner party and not drink. And she noticed, normally I kind of have a glass of wine before everyone comes because I want to calm my nerves, I’m nervous about everybody having a good time and what the food’s going to be like and are people going to like it. And then I’m also noticing that I’m drinking during the party because I’m wanting again, to make sure that everything is going smoothly, so I’m dealing with some negative emotion, and then that habit is still there after people leave. I’m drinking when I clean up kind of as a job well done. When you start to do that, you start to really understand how the habit is working and the thoughts that are really fueling the habit. You know, I actually had two of my dearest friends Julie and Andrew, who also live in San Francisco, I had them over for dinner the other night, which by the way, turns out to be a little more challenging when you have a seven-month-old at home and you’re trying to get him to go to sleep. But anyway, I was their hostess. I bought and served a bottle of wine with dinner and they enjoyed it. I did not. It was not some sort of huge battle with alcohol or huge internal battle with myself. They drink. I don’t. They wanted it. I didn’t. You know what, but I used to drink with them. In fact, Julie and I spent many years in Brooklyn, in our 20s, hanging out and drinking together. It used to be a big part of our relationship, but it’s not anymore. She still does, I don’t. The end. The only battle I actually had that night was a battle I had with the smoke detector when the lasagna bubbled over and it woke up my baby. That was the only battle that I had. So really, where did this idea come from that in order to be successful, you need to surrender? If you want to stop drinking, you need to surrender. I think that it comes from AA. I think it comes from the very first step of AA, which is admit that you are powerless over alcohol and your life has become unmanageable. Because listen, when you are powerless, that means you have an opponent because there is something that has the power. And in that case, how is it being viewed? Well, alcohol is being viewed in that way. You’re powerless, alcohol holds all the cards, they call all the shots. Not you. Culturally, that language is so much a part of how people understand any kind of addiction. This idea that it’s a matter of surrendering to the fact that you are powerless. And you know what, culturally, I think that we need a new way to talk about people who drink more than they want and people who eat more than they want and people who spend more than they want and watch more than they want. Because it’s not because we’re all powerless. It’s because we’ve just been sitting in the dark when it comes to the inner workings of our own mind and how habits work and how rewards work in the brain. You have the most powerful brain in the universe and no one ever gave you any information on how to use it. Much less how to use it when very concentrated rewards were involved, or when you were living in an environment where easy rewards were available all around you. So here’s the thing; to me, I do not think it is helpful to frame changing the habit and not drinking as going to war. And now, I know that some of you out there might feel like sometimes you’re at war with yourself or that you have a love-hate relationship with alcohol, but I want to promise you this; it’s not because alcohol is the enemy or you are in battle with drinking. It’s because you don’t yet understand how your brain works. You don’t yet understand how rewards work in the brain. You don’t yet understand how to manage urges. You don’t yet understand how to change a habit. You don’t even yet understand the thoughts that are fueling the habit. It’s also because you have a ton of negative emotion about what it means to struggle with overdrinking and what that struggle means about you. I had this for so long. We are bombarded with the story of if you drink more than you want, you have a “problem” and need to admit that you are powerless and you need to make amends for your wrongs and your defects of character. Listen, if you drink more than you want, if you are desiring alcohol, it means one, that your brain is working exactly as it should, it’s in search of a reward, and two, you haven’t yet figured out how to respond differently to the desire for more. What I was doing for the longest time was having that desire for more and then just blindly obeying it. Just going and saying yes and more and yes and more, and that desire grew. It’s why I so quickly created a habit. But what I was missing the whole time was this bigger question of why I wanted a drink. I always for the longest time ended that conversation of I don’t know, it’s just the best thing, I just love drinking, it’s just fun. That was it. I didn’t understand the real why. Of course, the real why was because I wanted to change how I felt. I didn’t want to be this uptight, stressed, awkward, insecure version of myself that just only could focus on all her hang-ups and everything that was wrong with her. I wanted to feel better and I didn’t know how, and that’s where alcohol came in. Listen, you are not powerless. In fact, if you are going to change the habit of overdrinking, it is because you have agency. And the way that you teach yourself how to exert the agency that you have is by learning the think-feel-act cycle, learning about your brain, and learning how to change the results that aren’t serving you. It does not mean that you have to go to battle. It means learning, getting curious, and honestly, starting to practice compassion with yourself, which is the opposite of what so many of you are doing right now when you drink more than you want to. What are you doing? You are beating yourself up. That’s what I did for so many years. All of this means you don’t need to surrender to be successful. The final thing that I just want to add, do what feels right for you. If the word surrender feels good, then keep it, by all means, if it creates positive emotion for you, if it makes you feel empowered, if you like how you feel and how you act when you think that word, keep on doing what you’re doing. Because words do create different emotions for different people. But if the idea of surrender feels negative, if every time you think to yourself, “The only way I’ll be able to walk away from alcohol is if I surrender, the only way I’ll be able to change this habit is by surrendering,” if you don’t feel inspired, if you instead feel defeated, then by all means please think something else. Here’s what works for me. I like practicing the thought that no matter what it is in life, I always have agency and I’m never powerless. I like learning and being curious about how my brain works and how habits work and trying to unravel and untangle them instead of suiting up for battle. And I like seeing alcohol as neutral. It’s not good, it’s not bad. Drinking is not a vice, abstaining is not a virtue. I see it as neutral rather than an enemy that I need to defeat or keep at bay. Because here’s the thing; for me, all of this work, learning how to change the habit, stopping overdrinking, learning how to change my desire, it was all a pathway into understanding how my brain works. Mastering the think-feel-act cycle wasn’t just an interesting thing to do. It was the process that I used to truly discover how powerful I was and how powerful my brain is. Changing the habit for me wasn’t a process of surrendering. It was a process of becoming my own best authority of what feels right and good in my life and frankly, finding a power that I didn’t even knew existed. Alright, that’s it for today. I loved doing our very first listener Q&A. if you have any questions you’d like to hear me answer on the podcast, just send me an email at podcast@rachelhart.com. See you guys next week.